The new Avanti Quattro + Non-Vented Fin exceed the established performance of the traditional model thanks to the use of new Composite Materials that Optimize Efficiency. The Avanti Quattro + provide Greater Responsiveness and Thrusting Power with an even more Attractive Look. New Bungee Straps are provided as Standard Issue Straps are equipped with Large Grasp-Loops for Easy Donning and Doffing. 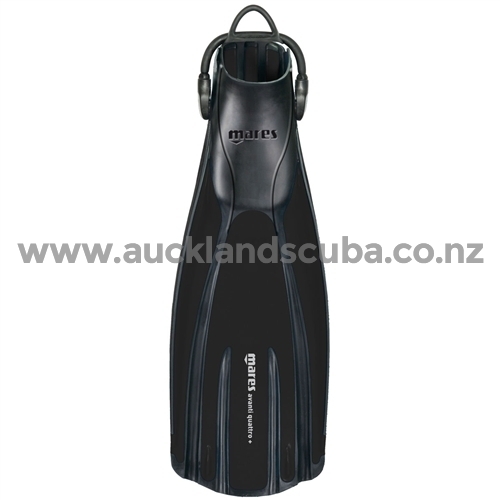 Proven Channel Thrust Technology makes the Fin Versatile and ideal in all diving conditions. The Stabilizers Improve Stability and Eliminating Ankle Twisting Phenomena. The Anatomical Foot Pocket conveys more Power to the Blade. 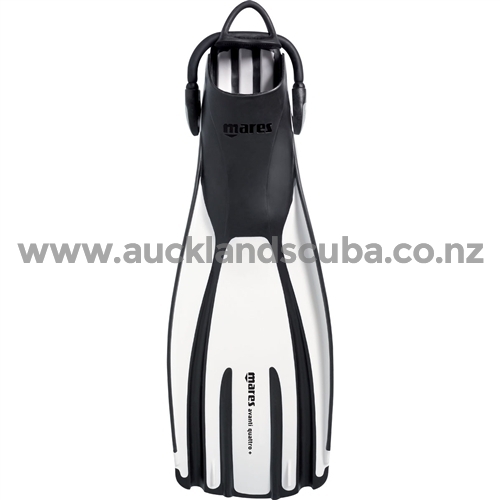 The Mares Design is inspired by Marine Mammals Channel Thrust Technology Maximizes the Channeling of Water and moves a much greater amount of water compared to other fins of the same size. The result is greater Thrusting Power with the same amount of effort. The Fin is available in sizes Small, Regular or X-Large and comes in Black, White, Blue, Lime or Flamingo colors. 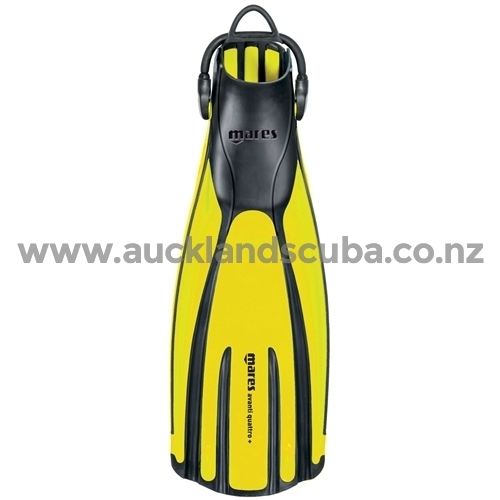 The Fin Blade measures 15" (38 cm), weighs 31.75 oz (900 g) and is covered by a 24 month limited warranty.